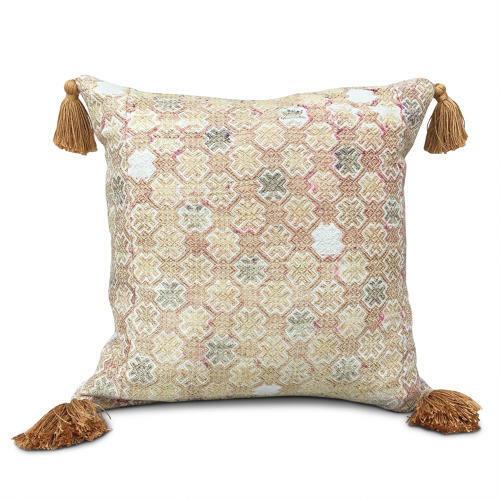 These lovely gold cushions were made from a Zhuang wedding blanket that was originally pink. There is a pink blush to the silk in some places. The cushions have gold coloured handmade tassels from bamboo silky yarn, are backed in natural vintage hemp, have zip fasteners and feather pads.